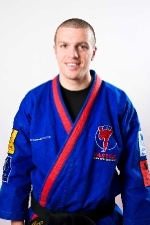 Welcome to Castle Martial Arts training & life excellence in Sheffield Chesterfield & Rotherham. Are you ready to take the first steps towards a life enhancing experience? We'll turn you from Couch Potato to Hot Potato, from Fearful to Fearless, from Fat to Super Fit. You'll lose pounds of unwanted, unsightly fat and build solid, sleek, firm, lean muscle. Your confidence will soar; as will your fitness! You'll be stronger and safer! You'll see an amazing difference as those unwanted pounds are replaced with a new, super slim, power packed YOU. For more details on our Martial Arts Classes, send for our FREE brochure today! We'll even give you a 30 day Martial Arts membership trial absolutley FREE! 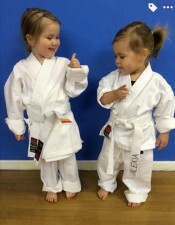 Here at Castle Martial Arts we are devoted to Martial Arts Training and Life Excellence. Based in Sheffield, Chesterfield and Rotherham, our Martial Arts Schools deliver Combat Training at its best. Our site will explain why our Martial Arts Programme is the best for helping you get fit and fearless fast! Now it's your chance to get into the best shape of your life and feel unstoppable with our Martial Arts Training. You'll be filled with a whole new energy and motivation to achieve your goals; a whole new level of strength, health and confidence. 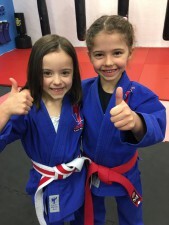 Anyone, any age or ability will benefit so much from our Martial Arts Classes and you'll see why our schools are filled with people just like you; from doctors, teachers and sales man to housewives and students, to builders, administrators and their children. You'll be amazed at how our Martial Arts Schools are helping people just like you to change their lives for the better all over Sheffield, Chesterfield and Rotherham when you join us too. I know some of you must still have doubts about whether to enrol, sitting there thinking this is too good to be true, this can't be for real...so I'm going to give you a painless way to let us prove it. To demonstrate how absolutely convinced I am that our Martial Arts Training is exactly what you are looking for, I'm offering you a FREE Trial Membership. No risk, no pressure and no cost. 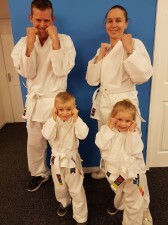 We’re inviting you to step up to the challenge and fulfilment that will be yours with our Martial Arts Training - It's all here waiting for you now. Just fill in your details below and click the button to claim you FREE brochure and FREE Trial Membership! 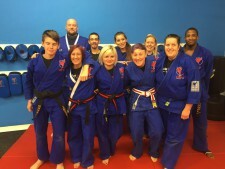 Why Choose Castle Martial Arts? Our Instructors are all Professionally Trained and Certified - So you know you're in safe hands! They are also Black Belt Martial Arts Experts - So they know what they're doing, they are the best! We are nice friendly people who want the best for you! - So you’ll be taught by true enthusiasts who love what they do!